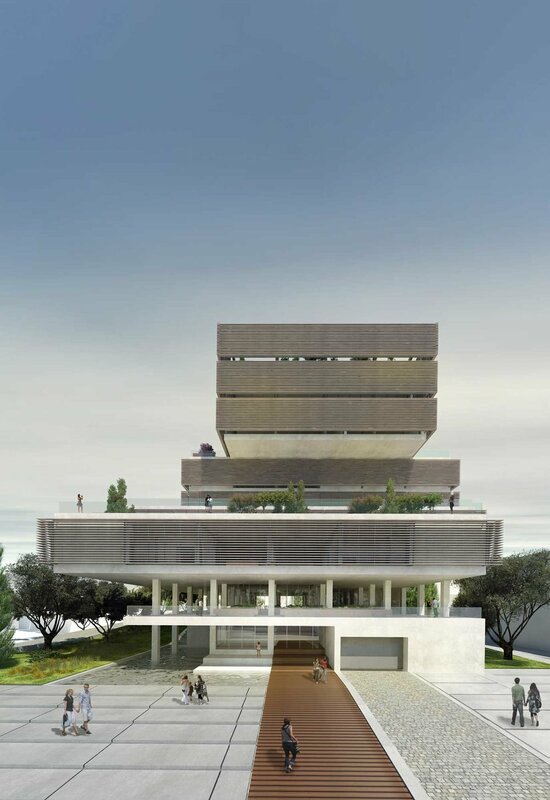 The design process for the Medical School and Health Sciences Building was influenced by two factors: firstly, from the place of intervention with its intense topography and views towards the hill Aronas and Park Athalassa, and secondly from the actual content and character of the School of Medicine. The identity of the place affects the building regarding its location, orientation and volumetric options, so as to maximize the benefits of the site and the specific climatic characteristics. In parallel, the function which will be hosted, this of a modern and innovative Medical School, forms the architectural vocabulary. We go back to the beginnings of the science of medicine in ancient Greek and Hellenistic years to enhance the character of a holistic approach, where building and function meet in total. The functional units of the School remain distinct as the building rises, while they are designed to have access to an outdoor or semi-outdoor space. 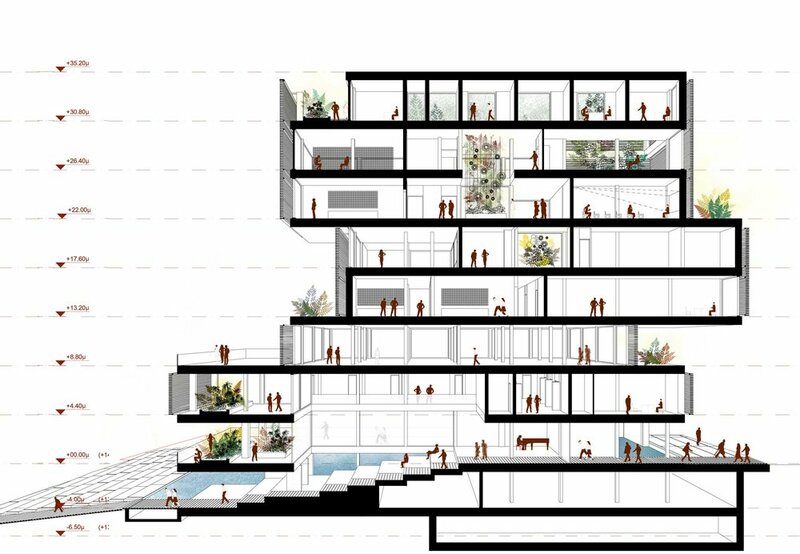 The interior configuration of the School is focused on the social spaces of the building, such the rest and meeting points, interior or exterior, or wide corridors that encourage informal meetings among teachers, students and visitors, spaces for online access. The social areas of the School are in direct contact with indoor and outdoor gardens-terraces, which introduce the nature in the building. These spaces are a key point of reference in the holistic approach of the individual in relation to his environment, and refer to Asklipiia, the treatment clinics of Greek Antiquity.